Bring a pot of lightly salted water to a rolling boil; cook the fettuccini at a boil until cooked through yet firm to the bite, about 8 minutes; drain. Transfer the fettuccini to a bowl. Melt the butter in a saucepan over medium heat. 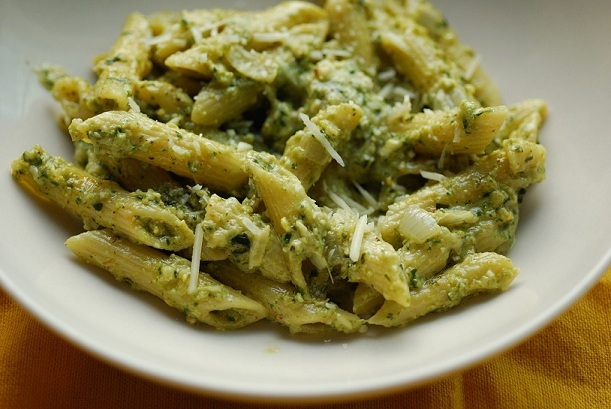 Cook the garlic and pesto in the melted butter until warmed, 2 to 3 minutes; pour over the fettuccini and toss to coat.